Enjoy your own ultimate home from home in Scotland with our exclusive use golf tour packages. Dreaming of a fairytale castle in the Scottish countryside or a luxury golfer’s pad with own driving range and short game area? These stunning exclusive use properties offer something for every type of golfing group. Whatever your golfing style, if you want to enjoy the ultimate golfing getaway with your friends and family then find below some of our favourite exclusive use venues for golf tours in Scotland. Enjoy a week stay at your very own home from home at the stunning Hawkswood House. The ultimate golfer’s paradise the property includes its very own short game area and private 250-yard driving range! Ideal for honing those skills before heading out for golf in St Andrews. 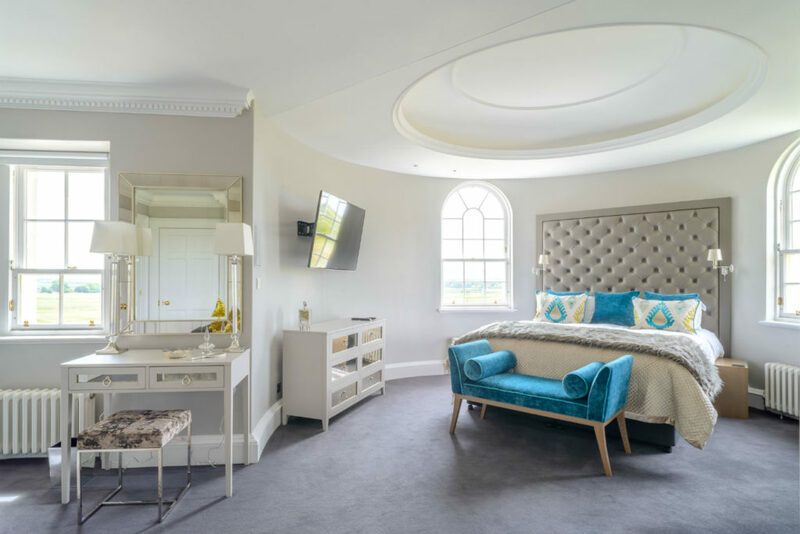 Spend 7 nights at the exclusive Edgehill House, located alongside the 1st fairway of Gullane Golf Club’s No.1 Course and play 6 top courses in the area of East Lothian. Experience true luxury in this stunning private property and enjoy the many facilities it has to offer including own swimming pool and cinema room! Ever dreamed of staying in your very own Scottish Castle? Well now you can! Through an ancient arched gateway and steeped in 600 years of history, lies Borthwick Castle just 12 miles from Edinburgh. Experience true opulence, tranquillity and a fantastic week of golf and exploring in Scotland. The Maltings, is a beautiful 250 year old stone built former oat mill. During your week stay in the highlands, you will play 5 of the top golf courses in the area from the picturesque inland courses of Spey Valley and Boat of Garten to the classic championship links at Castle Stuart.